While a do-it-yourself approach in direct plans will help you save money, there is the risk of making poor investment decisions and suffering loss of capital, says Devang Kakkad, head of research, Equirus Wealth Management. The Securities and Exchange Board of India had introduced direct plans of mutual funds five years ago. However, the rate of adoption of these plans has gathered pace only in the past two-three years. The introduction of direct plans has made it even more crucial for investors to select the right financial advisor, who can help them build a sound mutual fund portfolio. When Sebi had introduced direct plans, its vision was to offer a lower-cost option to knowledgeable and sophisticated investors, both institutional and non-institutional. Investors who use direct plans do not have to pay the distribution fee that is built into regular plans. Institutional and knowledgeable investors with nuanced understanding of products and markets are capable of doing their own research and due diligence, and selecting the right schemes. These are the investors that direct plans are best suited for. Regular plans of mutual funds have distribution commission embedded in them, hence their expense ratios are higher than those of direct plans. Investors opting for regular plans do not have to bear any advisory or distribution fee as the distributor is compensated by the product manufacturer, in this case the asset management company. The idea was that when retail investors invest in direct plans, they would seek independent and unbiased advice from professionals, both in the matter of selecting funds and building their portfolios. It was expected that they would compensate professional advisors by paying them a separate fee. Since these advisors would depend on fees from investors, they would align their interests more closely with that of the latter. When sellers are compensated by the product manufacturer, as in the case of regular plans, their incentives get skewed. They tend to push those products that pay them a higher commission, instead of those that are in the investor's interest. It is this trap that the investor can avoid when s/he opts for the combination of direct funds and a professional advisor. The underlying idea was not so much to help investors save cost, but to eliminate advisory biases and ensure the generation of truly client-centric advice and recommendations. Through its guidelines on Registered Investment Advisors, Sebi set high standards for investment advisors by specifying the necessary qualifications they should have. According to a release issued by the Association of Mutual Funds in India, about 12% of retail investors have invested in direct plans. 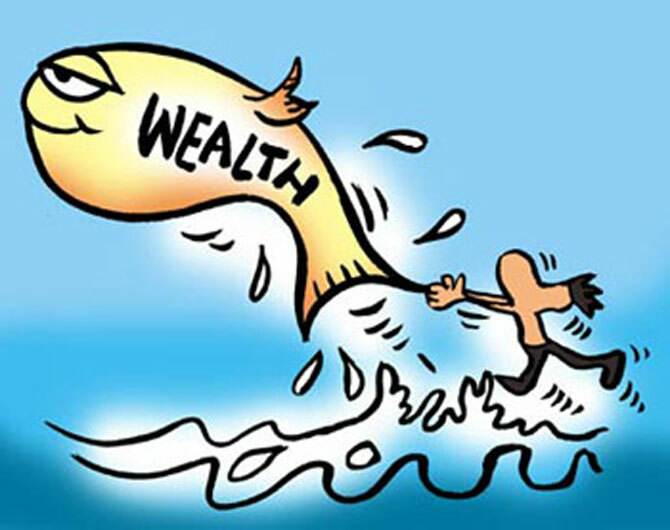 A much higher proportion of high net worth individuals, 21%, have opted to invest directly. Altogether, 42% of the mutual fund industry's asset under management is managed through the direct platform. A large portion of these investments is in non-equity schemes made by institutional investors. Interestingly, the proportion of direct investments in equities to total assets held by individual investors was approximately 8% in February 2019. It is indeed true that more retail investors are now opting for direct plans. However, in most cases the reason for adopting them is to save cost. This approach is fraught with risks. Investors who invest on their own do not do any risk profiling, which essentially means gauging how much risk they can take and then investing in funds that have a level of volatility suited to their appetite. These investors also do not undertake asset allocation, which ensures that their portfolio is well diversified and hence capable of weathering various kinds of market situations. Retail investors are often not able to select quality funds, nor are they able to do the due diligence on the asset management company. The Do It Yourself model works well when the markets are in a bull phase and equities are giving above-average returns. However, as soon as the markets enter a bearish phase, or move only sideways, the lack of sound advice takes a toll. Without proper advice, investors react in a knee-jerk fashion to short-term corrections and redeem their investments at a loss. In the pursuit of lower cost, they sometimes end up losing their capital. There are many complexities in choosing the right mutual fund scheme. For example, according to the recent Sebi categorisation norms, there are 16 sub-categories of debt funds. Each of them carries a specific level of risk (credit and duration related) and requires a certain minimum investment horizon. Thus, making the rate choice is no mean task in debt funds. The same holds true for both equity and hybrid categories. To offer an analogy, when a person falls sick, s/he needs professional advice from a doctor. Self-medication may not work and could even prove dangerous. Similarly, when retail investors are investing for either the long- or short-term, they should seek unbiased professional advice. A simple google search of historical returns of various categories or rankings provided by online portals does not qualify as research. Inadequate research and poor-quality investment decisions without factoring in a person's detailed risk profile can lead to losses and an unpleasant experience for the investor. Choose an advisor who adopts the financial planning approach and develops an asset allocation strategy based on your financial goals. Be wary of one who does not follow this approach but only suggests a list of mutual funds for investing in. The asset allocation strategy should be developed after comprehensive risk profiling and identification of investment goals, instead of being driven by one asset class or investment horizon only. While building a long-term portfolio, investors should ensure they opt for multiple asset classes, and a diverse range of products within each class. The advisor should have the ability to guide investors across different asset classes and provide a holistic financial solution. Increasingly, more financial advisors are opting for RIA certification to be able to provide holistic financial advisory, instead of having expertise only in mutual funds. In an advisory-focussed model, the onus is on investors to compensate professional advisors appropriately. In India, financial advisory is often perceived to be free of cost. Investors, on their part, should focus more on the performance of the investment professional, instead of fixating only on fees. Should you invest in credit risk funds? Are mutual fund investments really SAFE?